Surprised to see me? I bet you are! I’ve been wanting to start my blog up again and what better time then the new year? I’ve been warning a few people for quite some time now that I was going to start writing on my blog again. Now here I am! There’s going to be a few changes to the blog. Nothing major. I’m just going to focus more on why I started this labor of love six years ago. Writing. Stories. Imagination. Fun. As you might have noticed I’ve changed the title of the blog. It’s now “Stories to Tell”. That’s exactly what I want to do. Tell stories. The twist is this….well maybe not so much a twist as….well, ok, maybe it is a twist. For me, anyway. The stories you will read here might actually be based on truth. Not all of them. Some of them. The others will be complete figments of my very vivid imagination. I will post one once a week, (day of the week still to be determined). What makes this idea a bit twisty is this…..
YOU, the reader, get to guess if the story I post is based on truth or fiction. In the comment section, you write whether you think the story has truth in it or is it a made up story. The following week I will post another story and tell you if the story the week before was truth or my imagination. The true stories will not all be about me and my experiences. They could also be about people I know and their true experiences! I didn’t want to make it too easy for some of my readers who have followed me throughout my six or so years blogging. I gave out a lot of personal information through the years. This evens things out a bit for newer readers. Or…I’m just devious that way. So, this is also a call out in a way. If anyone has a true story they want to share with me, so I can write a story based on your experience, get in contact with me through my contact page. With all that said, let’s get to the first story! Is it true? Or not? You tell me! She had only been on the job for a couple of weeks. She enjoyed it even if she had to work the night shift. Now that was something to get used to. Usually, the shift was from 5 pm until closing, which was usually around three or four in the morning. She had never had a job where she worked nights. If it hadn’t been for her co-workers she wasn’t sure she would have made it past the first week. They were a great bunch of ladies and gents. Always having a fun time even if they were on the clock. The job dealt with the gambling community. Not the high rollers like in Vegas but the retired group that had nothing better to do with their time than spend a few hours putting coins in the slot machines. Usually, they were a quiet group, the coin droppers. Sometimes you might get the odd one but all in all unassuming. Weekends or holidays were the big days. That’s when the working public came in to spend their paycheck or part of it. They’d get busloads of people from the big city farther south. She didn’t mind though, the busy weekends brought in bigger tips and new people to watch. Her job was exchanging money for coins or paying out winnings. It was interesting. Every once in a while she might even see a big winner at her window. Sometimes she dreamed of winning big somewhere and what she would do with the money. Big dreams. One weekend she was exchanging paper money for rolls of quarters to one of the regulars when she felt a strange prickling on the back of her neck. Like a cold draft of air brushed over her. She shivered a bit and looked around and found a stranger staring at her. He was behind a couple of excited older ladies, lined up at her window. She only glanced briefly at him and turned to ask the ladies what they needed. That glance was enough to see he had stone cold eyes. They stared at her without blinking. As the old ladies walked away the man took their place at her window, still staring coldly at her, and tossed a twenty down on the counter. He didn’t say a word. Just stared. After a brief hesitation where she waited for him to state what he wanted, she decided to ask him hoping that would make him go away quicker. He was giving her bad vibes. He only nodded his head in the affirmative. She slid a roll of quarters his way and picked up the twenty to put in her drawer. After picking up the quarters he turned and walked away all without saying a word or taking his eyes off her. She doesn’t think he even blinked. It was a busy night, so she just shrugged the encounter away thinking he was a bit odd but harmless. She saw the man with the cold eyes once again that night as he stood in her window to collect his winnings. Once again he didn’t say a word, just stared at her. She counted out his money and pushed it across the counter to him. Picking it up he pulled a twenty out and threw it down on the counter in front of her. For a minute she was confused. Did he want more quarters? Smaller bills? What? Abruptly he turned and walked away. That’s when she deduced that the twenty he threw at her was a tip. After that first night, he came every weekend and they went through the same routine. He stood at her window, staring with cold eyes, getting his quarters, then cashing out at the end of his night. A few times a co-worker would tell him that they could help him and he would shake his head no and stay where he was, even if he had to wait. He always tipped her twenty, no matter if he won big or not. Once she asked her co-workers if they knew who he was. They informed her that he was the new owner of a small bar she was familiar with. She used to know the man who owned the bar before the strange man. Most of the people she worked with just said he was a bit on the weird side. This routine went on until she left her job and moved on to something else. A few months later she had heard from a friend that the strange man, with the stone cold eyes, had committed three murders before he took his own life. He killed his ex-girlfriend and two men he disliked. She gasped when she was told that the man also had a ‘hit’ list of some sort. She shivered and wondered what would have happened if she stayed at that job. Would she have become a name on his hit list? That night as she lay in bed and tried to sleep, all she could see was a set of stone cold eyes. So, is this story based on truth? Have you ever met a killer face to face? How would you feel if you found out you did? It’s hard to believe it’s been over a month since I posted anything. A part of me is so let down, another part just doesn’t care. I’m nothing if not honest, especially with myself. It’s not like I haven’t been around, I have. I visit some of my favorite blogs, I talk to some of my favorite people. I’m still here. I just haven’t been writing. As for the personal side of things, well, it could be worse I guess. The husband is slowly on the mend from his stroke in late October. He’s been to so many specialists that I’ve lost count of them all. His mind is much clearer with different pain medications. So, for now, he is on the upswing. He had his 65th birthday on February 4th. Sad thing….his mother died on his birthday. She had dementia for the last few years of her life and didn’t know anyone at the end, but she was surrounded with family when she passed and I guess that’s all anyone can hope for. The winter here has been snowy and cold and longer than usual it seems to me. Or, I’m just getting old and can’t handle it like I used to. I long for warmer weather and summer breezes. Today we’ve had freezing rain, sleet and now snow. Yeah, I’m so over winter. To say I haven’t been writing is kind of a lie. Sorry about that. I have been writing, just not on here. I’m working on a new story and I’ve promised my best friend, Maddie that I was going to send it to her first to read and critique. I’m so rusty now that I want to make sure it’s ok before I post it here. So yes, I am writing, kind of. It’s a hit and miss kind of thing lately. Some days I write, some days I don’t. Mostly my problem is I’m so damn tired. This time change stuff doesn’t help me either. I hate when they have daylight savings time. It messes my sleep up and I don’t need any more help with that. I thought at one point of closing this blog down. I’ve been blogging for almost six years now and maybe I’ve run out of things to say or do on here. But, it’s obvious I haven’t shut it down. I can’t. I love the community here in blog land. I love knowing I’ve had this blog for so long. No, it’s not earth-shattering stuff on here. I’m not political. I don’t write deep, meaningful essays. But, I love it. I love the people I’ve met. I love the challenges. So, I’m keeping it. I’m hoping to get back into blogging more often and I appreciate everyone who has stuck with me thus far. Life might be hard sometimes, it might be damn hard a few times but it’s my life and I’ll keep going for as long as I can. I’ll keep posting things. I’ll keep appreciating all the comments and friends I’ve made here. I’ll keep living life’s little ups and downs. Hello, People! Yes, it’s really me. Been a while I know. I haven’t posted anything since November 9th. I think in the five or so years of blogging this is the longest I’ve gone without posting a thing. Honestly, I just didn’t have the energy or want to. I felt/feel drained. Totally used up. It’s not a pleasant feeling. It’s been a hard year, hell, it’s been a hard couple of years. No one’s fault. Just the way life is. I find myself moody lately, my temper easily set off. I’m not a pleasant person to be around right now. Just ask the husband. I snap at him and everyone else. I’m super sarcastic and just awful, to tell the truth. Hell, I don’t even like myself. I’m tired of life giving me the finger. I’m tired of dealing with one crisis after another. I’m tired of NOT writing. I’m tired of being tired. I’m tired of having to make all the decisions and deal with the repercussions of my decisions. I’m tired of dealing with people who treat me like I’m an idiot just because I’m old, a woman, short and fat or whatever reason. I’m tired of some people treating me and the husband like we are lepers and have something they might catch just because the husband had a stroke and lost his hearing aids and can’t hear very good. Yes, he had a stroke. Yes, he gets confused sometimes, yes he walks bent over like an old man, yes, he repeats himself……a lot. Yes, he’s sick and his next stroke might be his last. And ok, maybe you don’t like me personally. I’m fine with that. You don’t have to like me. I’m not everyone’s cup of tea. BUT……he’s still alive, he’s still talking, eating, walking, carrying on conversations (limited I know but still doing it). Yet he gets ignored and left alone and there is nothing I can do about it. I realize people have their own lives to live. That is no reason to forget about someone who is supposed to be a friend or relative. I just don’t understand people. Maybe that’s why I don’t like most people. Whew! That was quite a rant. I have felt it boiling up in me for weeks. Maybe I’ll feel better now that I’ve ‘blown’ so to speak. Maybe not. Now that my rant is out of the way. And no, I’m not apologizing for it. It is how I feel. I don’t tell people how I REALLY feel often enough. That might change. As for the husband. He’s still weak. Still can’t use his right hand. But, he does seem to be getting stronger. God knows he’s more stubborn. Some days are good and he can carry on conversations and stay with it. Some days not so much. Some days he’s super argumentative. Some days happy and joking around like he used to. It’s a bit of a roller coaster ride. As for this blog. I’m continuing it. I’ll be writing more (fingers crossed). I’m not sure what I will be writing. I’m hoping more stories, more fiction, more poetry (even bad poetry) and fewer rants and raves. I’m needing to get back to writing. It helps ground me. I’m not trying to find the old me. She’s gone. Like the past year, gone forever. I am looking to find the new me. The one that is a bit wiser. A bit more settled. A bit happier. I want to thank all my friends who have asked after me. Asked about the husband. And never judge. 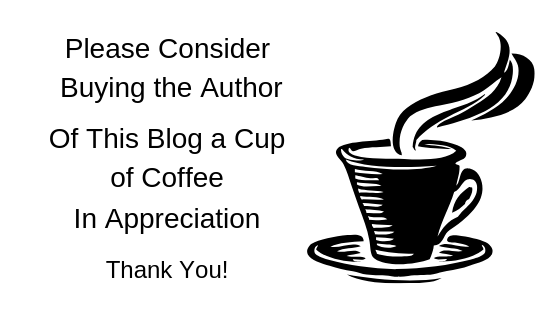 I want to thank all the readers who no matter how erratic my posting was, read what I wrote. I want to thank everyone who will be back again next year to help me grow into a better person, friend, and writer. It’s good to have you with me. You’re probably wondering about the title of this post, eh? I know it’s kind of strange but all will become clear soon. As many of you know, my husband had a stroke about three weeks ago. After battling cancer and a bad back, now this. He’s had a rough five or six years. He’s one tough man. Although I think he’s met his match this time. The stroke left his right arm and hand almost useless. Which for him is very frustrating as it’s, of course, his prominent hand. At the best of times, this is a man with very little patience. Now, oh boy, he’s frustrated as hell. We learned when he was in the hospital that this is actually his third stroke. He has had two prior ones we didn’t know about. This last one also occurred in the exact same some spot of the brain as the last one. I don’t know how that works on the brain with strokes but it was my understanding this one on top of the other is not that common. Leave it to him to be different. It’s also usual to have a stroke and then have the opposite side of your body affected. Again, the husband has to be different. The strokes all happened to his right side of the brain and affected the RIGHT side of his body. Most unusual. I’ve noticed some changes in his personality since the stroke. I would guess this is normal. They are a bit subtle but there nonetheless. After his stroke, the doctors changed his pain meds. He was taking oxycodone. Now he’s on Hydromorphone which is derivative of morphine. It actually seems to work better for him. When I brought him home last Friday I thought I could handle it. I figured it wasn’t going to be much different from what it normally is. I had to do pretty much everything then, I figured how much can it change? Oh, how naive I was! I have to dress him, help him eat (usually just cut up big pieces for him) and other, personal things. I won’t go into detail. Just let’s say his personal space is no more. Sigh. It’s damn hard. On me, mostly. Especially when he falls, which he has done three times last week. The most recent one was this morning. At 3 am, I finally broke down and called 911 as I knew there was no way I could get him up off the floor by myself. He fell outside the bathroom which is a narrow hallway. He is too weak to help much. His legs don’t want to work right and without his one hand and arm, well forget it. He wasn’t getting up. The other times he was in the living room and I could maneuver his walker to him so between the walker and me we got him up. That was not going to work this morning. This is where Sam, the wonder dog comes in. Now, Sam is just a little guy. Weighing in at about nine pounds, ten at the most. He sleeps with me in my bedroom, always has. My bedroom is on one end of the house. I keep my door closed as I can’t sleep if I hear the tv. Which for the husband has to be on 24/7. I also have to sleep in a cold room with a fan going. The husband has a bed in the living room. Which is right next to my bedroom. Unfortunately, I still cannot hear him if he falls. Sam lets me know when the husband falls. Which is strange because the husband has fallen before he had the stroke and Sam never let me know. But now, he wakes me up. I think he realizes it’s more important now then it was before. As before the husband could usually get back up himself and him falling happened rarely. Even when he fell in the hallway this morning, Sam woke me up. He is my little hero. I walked out to the living room and noticed that the husband’s bed was empty. Sam took off to the hallway so I knew to follow and that’s where I found the husband. Poor man, he’s kind of banged up on this one. He has a cut over one eye and bruises. He managed to take his walker to the bathroom but for some reason decided to try to get back to bed without it. Didn’t work well. Down he went. He doesn’t remember how long he was on the floor, just knew it had been a while. There is, however, a tiny little ray of hope in all this. I believe I have found the main reason he has been falling. It only happens in the middle of the night. And only when he takes two sleeping pills. So……I did a little experiment this past week. For a couple of nights, I only gave him one sleeping pill. (Much to his disgust). Those nights he DIDN’T fall. He managed to get up, go the bathroom and get back to bed in one piece. Last night he insisted I give him two sleeping pills. He fell. No more two sleeping pills a night. I even talked to the home nurse yesterday and she agreed with me, that it was possibly the sleeping pills that are making him fall. As far as I’m concerned, last night proved my theory. My gut told me this was the case, I always listen to my gut. So this has been our life lately. As for me, personally. I’m tired. I’m more than tired. I’m exhausted. But, I will go on and do what I must because no one else is going to do it for me. The husband is a good man, whose had a bad run of luck on his health. I will be there for him. That’s the least I can do. As for Sam, he got an extra treat today. Good boy, Sam! I’m so sad and sorry to find out just minutes ago that our writing friend and blogger Kim Floria of Silentlyheardonce has died. I don’t know all the details as of yet but I do know she had been in the hospital for quite a while as her lung cancer came back and I believe it spread. Kim was a great writer and an overall nice person. I feel such sadness at her passing. I called her friend as she always had something nice to say and a way of departing wisdom. If any of you fellow bloggers know if you knew her. She will be sadly missed here in my blogging world. Hello People. Hope your end of the week is a good one. Why I’ve been so quiet on here lately is not good. I wish it was good news but it’s not. The husband had a stroke. Yeah, it’s been the shits. He hadn’t been feeling well since Thanksgiving (Canada’s Thanksgiving). For a few days, he was confused and disoriented. I should have taken him to the doctor then but he refused to go. Sunday night I couldn’t rouse him from his sleep. He had been asleep all day. Not even getting up to go to the bathroom. Anyone who is in their mid-sixties knows this is not natural. We got to go pee often. One of those age things. Anyway, he hadn’t even moved positions and I was getting concerned so I tried to wake him up…..and couldn’t. He was breathing but he wasn’t waking up entirely. I managed to get him to open his eyes a bit but he couldn’t talk when he tried to. That’s when I knew I needed to call an ambulance. He did manage to wake up enough to realize the EMS guys were there but he wasn’t able to speak very well. So off they went and I followed a few minutes after. I was with him in the ER from about 8-8:30 pm Sunday night until they told me to go home and rest about 4 am Monday morning. He was pretty much out of it when I left. He couldn’t talk and his right arm wouldn’t move, plus, his right hand was swollen about twice its size. I went home but I didn’t sleep. How could I? I rested as much as I could and was back to the hospital Monday morning. I didn’t know any more than I did early that morning until I could talk to the doctor. I finally was able to after a couple of hours of watching him drift in and out of a restless sleep. They had done a CT scan of his head and lungs as he was having some difficulty breathing. They also did a whole bunch of blood work the night before. The first day…..this is what they knew for sure……he had a bad lung infection and his kidneys weren’t working as they should. They weren’t confirming yet that he had a stroke but in my heart, I knew he did. He was put on two antibiotics and a saline drip as he was also highly dehydrated. He was able to talk a bit better but his speech was very slow and a bit garbled. He couldn’t use his right arm or hand. The doctor said they could tell from the CT scan that he had a couple of prior strokes in the past but they couldn’t tell if he had one now. There was a couple of different tests they wanted to do. Let me tell you I was scared for him. He was in pretty bad shape. To make a really long story short. They are now saying he DID have a stroke along with his lung infection. They were worried about his kidneys and liver as neither one was working as it should. The right hand being swollen they couldn’t really explain. When I left him yesterday his speech was back to normal. His right hand was no longer swollen and he had mobility in his right arm. They still had him on antibiotics. Also, now his blood pressure is high and they were giving him shots to bring it down. This is a man whose blood pressure was always on the low side. Not good. And he’s not eating. He hasn’t had anything to eat since Saturday. He took one bite of his cheese sandwich yesterday at lunch and that was it. I couldn’t get him to eat anything else. Of course, we all know what hospital food is like. His was even worse. He had a bowl of soup. It was supposed to be soup. I think. Everything he eats or drinks has to be thickened up because of his lungs. If it’s not thick it will go INTO his lungs instead of his stomach. Not good. But, omg, that was some nasty so-called food. I felt so sorry for him. He wants to come home. They have no date as to when he will be released. I won’t see him until tomorrow morning as I am exhausted and I have so much to catch up on here at home. He understands. I’ll take him his clothes then. I’m hoping I will know more then also. We shall see. Anyways, that’s been my life lately. If you have any extra good thoughts to send the husbands way, please do. We will both appreciate it. Hello everyone! I hope that those of you who celebrated Canada’s Thanksgiving yesterday had a good one. Here are this week’s questions and my answers from Cee’s Share Your World.……. Hands down it has to be peanut butter. I love creamy peanut butter. It’s also the food I mostly lived on after my divorce many years ago. It was all I could afford at the time. A jar of peanut butter and a loaf of bread was my way of surviving. Now I use it as a way of upping my sugars if my blood sugars get too low (I’m diabetic). But, it’s also comforting. The smell, the taste just brings me comfort when I’m down. Are you focused on today or tomorrow? Both, I think. I’m always in the ‘now’ but I can obsess about the tomorrows. Especially now that I’m older. I think about tomorrow a lot. Sometimes it gets a bit scary and I have to put it out of my mind and concentrate on today. If you could interview one of your great-great-great grandparents, who would it be (if you know their name) and what would you ask? I barely knew my grandparents, much less great-great-great ones. I think I would love to interview the ones on my mother’s side of the family. They were Native Americans and I would love to have their ‘take’ on things back then. My Native American ancestry has always interested me the most. As for what I would ask them, most likely just let them tell me about how life was back then, the changes that came later and general life experiences. Do you know about your ancestors? Let me know! Hello, everyone! First, let me give you a quick update on our snow. We got lots! Here’s a pic of what I woke up to this morning after it snowed all day and most the night. I’m not shoveling either! Mother Nature put it there she can take it away. It might take a while as even though the sun is shining and we have bright blue skies today it’s only -3c or 27F. I’m patient….I’ll wait. Now on to Cee’s Share Your World! If you were given the opportunity to ride in a helicopter would go? Oh yes, I would! I have always wanted to take a ride in a helicopter. Looks like great fun! I love cheese, nuts, seafood, chicken. I’m not much of a beef eater. I love eggs too but lately, they don’t love me. I have to watch my nut intake as it tends to raise my blood sugars. Moderation in all things. What would be your preference, awake before dawn, at dawn, or awake before noon? When I was younger I used to get up just before dawn to watch the sunrise with a hot cup of coffee. Now, eh, the dawn comes and goes and I’m still in bed. I don’t sleep well, haven’t for years so sometimes I don’t fall asleep until dawn. I am always up by 8:30 or 9 no matter what time I fell asleep. So, there it is for this week. Hope everyone is having a good day.